The East End Neighborhood Association is appealing a decision over the future of Bannock St. through the St. Luke’s Regional Medical Center campus in Boise. It comes nearly two years after the Boise City Council approved closing nearby Jefferson St. following hours of testimony. 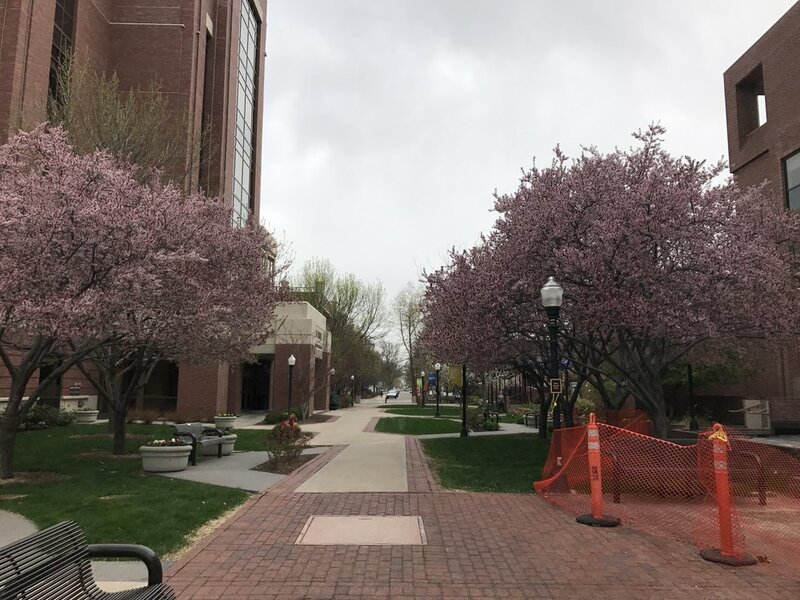 In June, the Boise City development officials OK’ed a design for the plaza between the main hospital building and the Mountain States Tumor Institute. 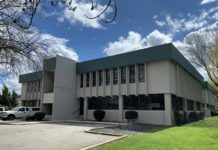 The area is currently closed to cars – but the city wanted to open up the Bannock connection to traffic of all types after approving the closure of Jefferson St. to the north in 2016. 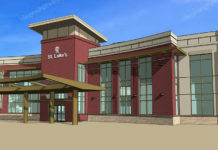 That approval was part of St. Lukes’ master plan to expand the hospital with a large new structure that would extend the hospital building north. Rendering of a plan to change the Bannock St. plaza near St. Luke’s Health System’s Boise campus. The Bannock St. plaza would be redesigned with an 18-foot wide travel lane that would allow for traffic in both directions. 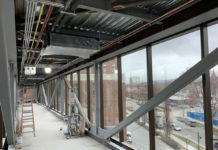 It will feature a “ribbon” design that helps offset the roadway area from the rest of the plaza. The area would not have a curb but instead would be flat. For the first year or so after construction, the area would only be open to bikes and pedestrians, and removable bollards would block access to cars and trucks. Then, a trial would be conducted where the road would be opened up and vehicular traffic would be allowed through in both directions. The City of Boise’s transportation planning division will evaluate the changes – and work with St. Luke’s to come up with recommended changes or adjustments to propose to Boise City Council. That could include keeping the lane open to cars – or returning it to a full-time plaza. St. Luke’s will not be allowed to close Jefferson St. “unless and until” it gives the City of Boise a 28-foot easement down Bannock St. The compromise comes after an extensive process between the hospital system and city leaders. During a contentious planning meeting in April of 2017 attended by Boise Mayor David Bieter, he was vocal about the need to open the road up to cars after the city approved the Jefferson closure. “After all the hours of public testimony and outreach and discussion, the only thing that… threw a bone to people… was the ability to go through (Jefferson with cars),” Bieter said in 2017. Now, with what city officials characterize as a compromise plan in place, the mayor’s spokesperson says his boss is happy with the next steps. The appeal says the current design isn’t sufficient and does not satisfy what the neighborhood group had hoped to see. On the appeal, St. Luke’s doesn’t see eye-to-eye with the neighborhood. If both Bannock and Jefferson Streets were ultimately fully closed to cars, it would create a so-called superblock – with no east-west vehicle passage from Idaho St. to Fort St – about 3/10ths of a mile. Neighbors are concerned it would put added pressure on the intersection of Broadway, Ave. B and Warm Springs. McFadyen says the proposed design meets the needs of walkers, bicyclists and drivers. 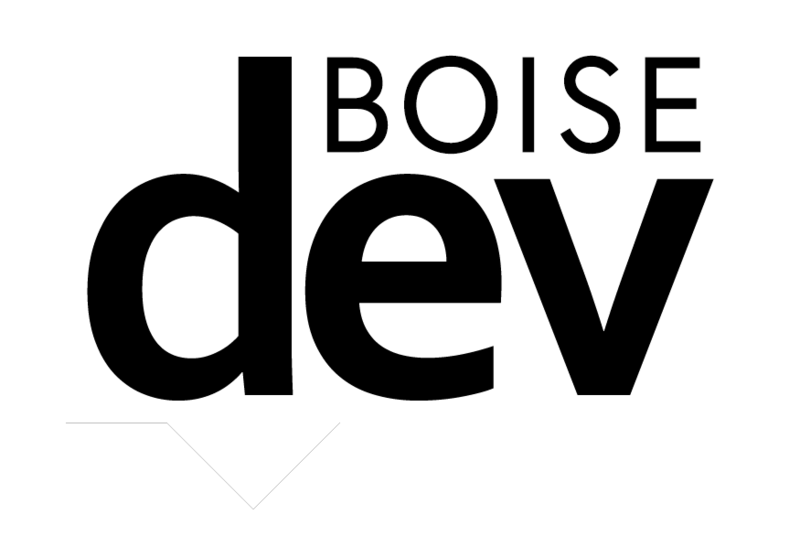 The appeal will be heard by the City of Boise Design Review Committee on August 8th. City staff recommended denial of the appeal. 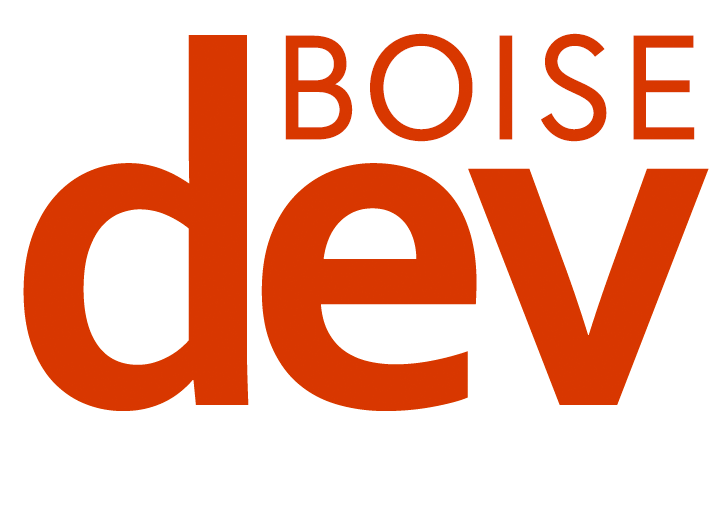 Continue to develop a framework of streets, paths and open spaces that builds upon existing networks and strengthen connections to the Boise River and Downtown subdistricts. (a) Retain a high level of connectivity in Downtown by maintaining the traditional street grid and block pattern (260 feet by 300 feet). Update: The appeal was granted. Design Review agreed that the proposed St. Luke’s plan is aimed at keeping the Bannock closed to vehicle traffic. City Counsel’s decision was clear: the vacation of Jefferson was conditioned upon the opening of Bannock to vehicle traffic, not a year-long study, or with removable bollards. The proposal simply does not do that.